Every person who is desperate to lose excess weight and is scouting for a safe and effective bariatric or weight loss procedure has to weigh their pros and cons of them. A thorough appraisal of Gastric Plication Vs Gastric Sleeve, two of the most popular bariatric procedures, can help people decide on which of the two would suit them more. 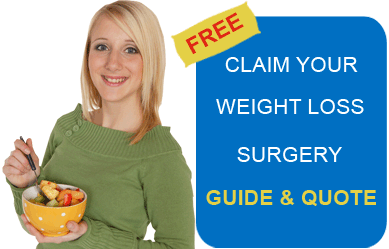 Weight loss surgery abroad has become a popular medical procedure among medical tourists, who flock for a weight loss surgery in Mexico or bariatric procedures such as Gastric sleeve surgery in India because of affordability and the provision of world class medical facilities in these countries. Also, Gastric plication in India, Mexico or Costa Rica can be relatively easy-on-the-pocket. In a study conducted in 2005 on the national trends in utilization and outcomes of bariatric surgery by the National Centre of Biotechnology Information, U.S.A, the results showed that from 1990 to 2000, the national annual rate of bariatric surgery increased nearly six fold in America, from 2.4 to 14.1 per 100,000 adults. Further as per this study, the number of bariatric procedures rose from 55% in 1990 to 93% in 2000. To be able to make a choice between these two bariatric procedures, one must first understand what the two bariatric surgical procedures are. Bariatric surgery is an operation that is conducted on people who are suffering from severe obesity. Such people cannot lose weight by any other means and bariatric surgery for extreme obesity remains the only viable option for them to get rid of the excess weight. Gastric Sleeve surgery is an irreversible procedure that involves the reduction of the size of the stomach to about one fourth of its original size by cutting a major portion of the stomach. The open edges of the stomach are stitched together to form a sleeve, hence the name gastric sleeve. The alternative names of gastric sleeve surgery are sleeve gastrectomy, vertical sleeve gastrectomy (VSG), laparoscopic sleeve gastrectomy (LSG) and gastric sleeve resection. On the other hand, Gastric Plication surgery is a reversible process that involves the use of stitches or sutures to fold the stomach into a sleeve, thus reducing the capacity of the stomach. For a closer look at the efficacy of the two bariatric procedures, let’s take a look at the advantages of one bariatric procedure over the other. Gastric Plication surgery involves no loss of stomach tissue, while Gastric Sleeve involves the surgical removal of a part of stomach to reduce its size. Gastric Plication surgery is a reversible procedure where the stomach capacity can be restored by removing the sutures, while Gastric Sleeve is an irreversible procedure. Stomach Gastric Plication surgery does not compromise the nutrition absorbing capacity of the stomach, whereas sleeve gastrectomy can interfere with the nutrition absorbing capacity of the stomach. Unlike the Gastric Sleeve, Gastric Plication does not involve the use of staples; so, there is no possibility of a leak from the staple line. Gastric Plication does not involve the use of any devices such as staples. Here are some other ways in which a medical tourist looking for a weight loss surgery abroad can make a prudent choice. Visit the vertical sleeve gastrectomy forums online to discuss your doubts about the various bariatric, or weight loss, procedures. Go through literature on complications related to gastric sleeve plication and sleeve gastrectomy in the leading medical journals on the Internet. Engage yourself in online gastric plication and gastric sleeve talk with those who have had the surgery before. Exchanging your doubts with other patients will help you gather the relevant details about the two weight loss surgeries. Gastric Sleeve and Gastric Plication are two effective weight loss procedures to get rid of the problem of excess weight. By putting Gastric Sleeve vs. Gastric Plication, and weighing the pros and cons of the two procedures, one can choose the obesity surgery that better suits his needs. Bariatric Surgery World facilitates affordable gastric plication and gastric sleeve surgery in Mexico, India, Costa Rica, Jordan, and Belgium. For more information, submit the estimate–request form on the right.